Just because a home looks good doesn't mean it's fit to house your family. Make sure your prospective or current property is structurally sound by scheduling a home inspection appointment. RIC Home Inspections has more than 13 years of home inspection experience. 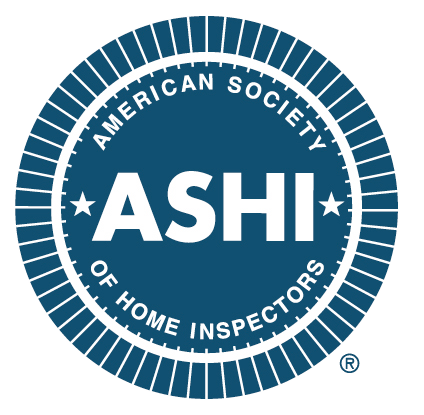 Our certified inspector will carefully conduct a walk-through of your home and make sure all of its essential components and systems are up to code. If we find any problem areas, we'll alert you immediately. Schedule your home inspection by calling RIC Home Inspections at 864-235-5505. Get in touch with RIC Home Inspections today to learn more. You go above and beyond to protect your family on a daily basis-why shouldn't that protection extend to your dwelling? RIC Home Inspections in Greenville, South Carolina will make sure you've got a safe roof overhead by completing a thorough home inspection, mold inspection or radon testing service. Our experienced home inspector will examine everything from the roof to the foundation and beyond to make sure no potential issues are lurking out of sight. Jump-start the home inspection process by contacting RIC Home Inspections immediately. My clients were totally impressed with RIC during their recent inspection of their new (construction) home in Simpsonville. The inspector even found a serious flaw with the laundry room door--they figured out the dryer would not fit through the door! Now, the problem will be solved BEFORE finding this out at move-in. Way to go, RIC!! Tommy was very thorough and I actually learned a lot. Also, his radon test far surpasses what we have done in the past. Highly recommend RIC Home Inspections. I Have worked with RIC Home Inspections for about 10 years. Always a good service and takes time to explain to my clients as well the results. Would highly recommend to anyone! Tommy was professional, courteous, and thorough! I will use his services again if the need should arise. Had a great experience with RIC for my home inspection. Tommy was punctual, cordial, and professional. His report was clear and thorough, efficiently formatted, and delivered promptly. I highly recommend RIC for a stress-free inspection! RIC Home Inspections offered me great customer service by scheduling a home inspection right away and taking the time at the end of the inspection to explain items of concern to me. I highly recommend them! Professional, thorough and very easy to work with. Tommy was incredibly thorough, professional, and kind. Not only did he meticulously check every aspect of the home we were purchasing, he took time to carefully explain his finding to us in person. His official written report was completed immediately and was and is an excellent source of information on our home. Thank you RIC and Tommy. We highly recommend them to anyone. My client chose Tommy because he felt he did a good job inspecting the home that he sold. Tommy was prompt to the appointment and in providing the report, communicated well and did a thorough inspection. I highly recommend using RIC for anything related to a home inspection! Tommy is as knowledgeable, professional, and thorough as they come. You will not be disappointed. Tommy is great and is extremely thorough. Obviously checks all the main stuff in the house, but is also checking power receptacles, tubs for drain plugs, whether or not the garage door stops closing when you apply pressure from below, etc. He is great, highly recommend RIC! Tommy was an absolute professional and did a thorough inspection. He was very easy to get in contact with and answered all of my questions in a timely fashion. I wouldn't hesitate to recommend his services. He took the time to do things right and remained in contact throughout, replying with great advice and support. I strongly recommend RIC to relieve stress and worry in buying a home! Tommy is always professional, personable, and thorough. RIC is my #1 choice for home inspections. Tommy was a pleasure to deal with. He is very professional .